The silence of the snow; its dazzling white brought alive and sparkling by the flickering flames. The good, clean fragrance is simple and silvery, like the carefree laughter of a child, and innocent and gentle as a loving caress. as a loving caress. The high elevation campfire on a glacier in the Italian Alps; one phase of an adventurous and arduous ascent to the summit of Mount Cevedale; the excitement of waking up at sunrise to the wild and immense silence of the Dolomites. The crisp clean air, the energising fresh smell of snow, the intoxicating oxygen, and the dampened smell of fire on ice, all in the glow of the first light of dawn. This fragrance embodies the unique power and beauty of nature, crystal clear in our eyes, hearts, and our most intimate olfactory memories. Inspired by the solitude and wilderness of a fire in a desert camp. The warm, sensual notes of rose; the ancestral and reassuring perfume of honey, the depth and mistery of Oud. Barefoot amidst the charm and mystery of Fire in a desert camp.The warm, sensual notes of a strange night in the wilderness; the soothing spicy fragrance; the evocative power of roses; and the ancestral and reassuring perfume of honey: all of them are celebrated in the power of the flame. Barefoot amidst the charm and mystery of Fire in a desert camp. The desert is the space of echoing questions, the sounding board of the world’s sounds. The desert arises from the precarious equilibrium of existence, at the intersection of places present and past, like a mirage at the edge of itself. The warm, sensual notes of a strange night in the wilderness; the soothing spicy fragrance; the evocative power of roses; and the ancestral and reassuring perfume of honey: all of them are celebrated in the power of the flame. The exciting story of a unique and unforgettable experience: the first night in a tent in the desert; the darkness and silence of this magic place which – like this fragrance – excites and fascinates from the first top notes. Here is the mellow Bulgarian Rose which embraces you like a warm cloak, an enduring balance of emotions; yet, in a sudden flash it becomes utter darkness, advancing in the unconsciousness like some primal anxiety. There is a saying I picked up on one of my trips which has always fascinated me. “The desert is as vast as the sky; if you want to be free as a bird, then live in the desert where there are no borders and no controls.” This fragrance completely embodies this spirit of the infinite, mystery, and freedom. The precious notes of natural Oud provide the intensity and fear found in the darkest notes. In this creation is enclosed a perfume with an opulent character, the extreme expression of the strength of the iris noble flower tuned in unison with a bouquet of rich precious woods. 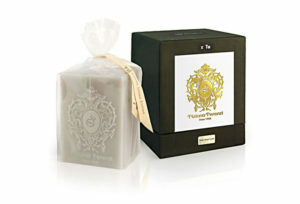 The scent is an expression of aristocratic beauty and ethereal persuasive elegance. Impossible but eternal love. In this creation is enclosed a perfume with an opulent character, the extreme expression of the strength of the iris noble flower tuned in unison with a bouquet of rich precious woods. Close your eyes and you will be embraced by the essence of Mediterranean islands. The richness of these wild views is reflected in the variety of unique flavors and aromas, wisely mixed in this bouquet. Close your eyes and you will be embraced by the essence of Mediterranean islands. Discover the small villages by walking through narrow cobbled streets, feeling the slow passage of time. Different intertwined landscapes, made of turquoise water and wind-blown cliffs; mountains dotted with gorges and valleys, with banks lined with olive groves and cork oaks shaped by the wind. The richness of these wild views is reflected in the variety of unique flavors and aromas, wisely mixed in this bouquet. My trip was made in Pantelleria, a beautiful island south of Sicily. The elements that dominate this landscape are the broom, the strawberry tree, the pine and the typical herbs of garrigue (thyme, rosemary, lavender, oregano, mint). On the highest peaks there is a pine forest, replaced by oaks at lower altitudes. In Pantelleria grows spontaneously a variety of caper which alluring aroma is found in this fragrance combined with the aroma of coffee given off at any time of day by small fishermen’s houses. Time seems to stand still in this place where the beauty of nature shows itself in all its wilder splendor. This essence contains the regal beauty of the aristocratic orchid that lives only on the island of Ischia. Rare and delicate, fragrant and intense, but living one single day! This essence contains the regal beauty of the aristocratic orchid that lives only on the island of Ischia. Rare and delicate, fragrant and intense, but living one single day! Short, so short, that it is unknown to most people and does not reveal itself, because like all beautiful things, it lasts only the moment of a dream. The Ancient Romans believed that this special island’s flower was a precious gift of the gods to thank for the boundless beauty of this land that lashes out in cobalt blue sea. The emotion of these precious places are presented in this scent of a Midsummer Night with a crackling bonfire on the top of a hill that towers over the Mediterranean. The charming pureness and the majestic immensity of snowy mountains. Small footprints in the snow, joyful eyes of a child looking curiously around. A childhood memory. The charming pureness and the majestic immensity of snowy mountains. Small footprints in the snow, joyful eyes of a child looking curiously around. A childhood memory. The unmistakable aroma of pine and resin mixed with the unforgettable memories of the family embraced around the fire sharing the sweetness of delicious typically wintry spicy biscuits. This fragrance keeps the magical sense of winter mountains, where snow makes the air crispy and balmy thanks to spruce needles in its impressive forests. The journey in the memories of one’s carefree childhood, surrounded by the unique magic that Christmas is able to give to the innocent eyes of a child dreaming the wonder of infinity. Escape to the snowy mountains, be pampered by the magic atmosphere of the fireplace and by the greedy childhood memories! This journey starts from the ancient capital of spirituality in Nepal. Lillipur is a spectacular agglomeration of temples, where huge braziers burn with incense and resins to aid meditation. This perfume represents the Mystical Fire of the soul and profound understanding, which is continually unfolding. One stop in this journey was Nepal, in search of a more intimate and solitary spirituality in an ancient capital renowned for its marvellous, mystical, higher state of being. A country where history, civilisation, and myths intertwine, Nepal places the traveller in cosmic time, perfect for exploring the soul and discovering one’s innermost self. Lillipur is a spectacular agglomeration of temples. Standing out among them is the incredibly beautiful Golden Temple. Here, in every corner, huge braziers burn with incense to aid meditation. Lillipur is considered one of the most spiritual places on Earth! This trip was the inspiration for this perfume; in a precious gold bottle, it is filled with the transcendent spirit of the place. This perfume represents the Mystical Fire of the soul and profound understanding. The perfume expresses itself slowly to the wearer, i.e. the traveller; it accompanies them all day long in an intimate sensory experience, one which is continually unfolding. Every inward breath of the perfume is a step closer to one’s true self. The most carefree and joyful stop on this incredible journey is the beautiful Sicily. This Mediterranean place that embodies one of the most mysterious and, at the same time, oldest of Italian beauties. The most carefree and joyful stop on this incredible journey is the beautiful Sicily, where History, Art and Nature are intertwined in an enchanting sea of emotions. Wild beaches, ancient ruins and squares surrounded by baroque buildings frame this Mediterranean place that embodies one of the most mysterious and, at the same time, oldest of Italian beauties. All the colourful sounds of Sicily are enclosed in this exquisite perfume extract. You will find delicious fruits paired with sublime smelling flowers, before reverberating in the fragrant wood of Mediterranean plants, harmoniously contrasted with the spices that surround Syracuse and the beautiful Ortigia Island. This creation was a journey to the origin, but then, on reflection, it was a vertiginous dream that characterises the graceful spirit of a cool midsummer night, in front of a bonfire by the sea, singing and playing the guitar with travelling companions and with those who we always carry in our hearts even if they are physically faraway. Arethusa is a character from Greek mythology, daughter of Nereus and Doris. The god Alpheus, son of the god Oceanus, fell in love with her while spying on her bathing naked. However, Arethusa fled from his attentions, surviving on the island of Ortigia, in Syracuse, where the goddess Artemis turned her into a stream. Zeus, moved by the pain of Alpheus, turned him into a river, allowing him, from the Peloponnese, in Greece, to travel all over the Ionian Sea to join his beloved stream. Even today, the myth lives on, on the island of Ortigia, thanks to the so-called Arethusa Stream, a body of water that flows into the Great Harbour of Syracuse. An intense journey into the “sacred fire” of the soul. A mystical fragrance, original with a strong personality. Opening with a punch of rich Frankincense, Ecstasy warms up with the creaminess of white flowers, and ends with rich intensity and depth. Very long lasting. The most intense journey into the “sacred fire” of the soul, in search of total authenticity in the suspended gravity of absolute beauty. It is an encompassing, mystical fragrance: original and with a strong personality. The most intense journey into the “sacred fire”of the soul, in search of total authenticity in the suspended gravity of absolute beauty. It is an encompassing, mystical fragrance: original and with a strong personality. This fragrance was created the most touching and profound day of our lives, in a kind of creative delirium inspired by the power of eternal and surreal feelings.The emotion and transformation of these moments are captured in an indelible and cathartic memory describing the sudden spiritual transition from boyhood to manhood. It is a fragrance which strikes you immediately and completely, with the same force as a punch in the face. This is thanks to the powerful, rich top notes of frankincense; immediately after, though, it slowly opens in a loving embrace and inner awareness to the chanting of white floral notes, the mystic power of Bakhoor, and fine wood. At that moment, you sense the power of the timeless love of someone dear, a love that merges with our soul in a religion of memory that gives a new sense of security and eternal strength. Your ego merges with the great cosmic one. In your soul there is “click” as in an instant you open up to the full dimension of being “grown up”. A fresh, citrus scent, like a gentleman’s cologne, this is Spring awakening, with a touch of Winter. In Italy, it is a centuries-old tradition to have a bonfire on the night of the eve of March 19th, to mark the end of Winter and celebrate the rebirth of Spring. The air is filled with intense smells, melancholy and excitement. La Focarina di S. Giuseppe On the night of 18 March – the verge of the spring equinox – it is tradition in our region to build a large bonfire (“focarina”) to burn up the leftover twigs and brush from winter and make room for the rebirth of spring. The air is filled with intense smells: fresh and new, yet nevertheless ancient. La Focarina di S. Giuseppe La Focarina di S. Giuseppe On the night of 18 March – the verge of the spring equinox – it is tradition in our region to build a large bonfire (“focarina”) to burn up the leftover twigs and brush from winter and make room for the rebirth of spring. The air is filled with intense smells: fresh and new, yet nevertheless ancient. In our region, all the villagers gather around the large bonfire. The elders tell the children stories, and the most daring youths leap into the fire as a challenge and to prove their bravery. The fire burns away all the suffering and woes of, confidently awaiting the arrival of spring and the joy and light heartedness it brings. The fire kindles a sense of hope for the days to come, like a collective and apotropaic prayer. A world of old folk stories and traditions comes together in this complex fragrance with its utterly innovative olfactory texture. The incredible beauty of nature is emphasized by strong scents that surround the island. These wonderful scents have been enclosed in this mysterious essence in order to fix the contemplative moment in front of the wild beauty. The island of Capri is the pearl of the Naples bay. The lush vegetation, the extraordinary colors of the sea, the wonderful caves, made it famous in the world. Capri has enchanted writers, poets, musicians, painters. Many filmmakers have chosen it as a backdrop for their movies and famous people have been seated to the small tables in its famous square. In this incredible piece of land emerged from the waters you can breathe the carefree air of Italians on holiday, the regenerating power of the smile of the summer, the taste of beauty admiration and the impulse of the poetic soul. The incredible beauty of nature is emphasized by strong scents that surround the island. These wonderful scents have been enclosed in this mysterious essence in order to fix the contemplative moment in front of the wild beauty. Here is the thrill of a night spent to admire the Faraglioni around a fire on the beach, playing old Italian songs to the sky with the scent of figs as public plunging into the fire and then renovated in the endless blue sea. BASE NOTE: White honey, Amber, Birchwood, Anise, Sage. This creation is inspired by the essence of violet, the most ancient scent of the Italian tradition. This note can be found in the mists of time and it has always accompanied the good life in Italy. This creation is dedicated to our grandmother Bigia, who loved washing her face with rose water and smelling of violets, while our country was in the rebuilding process after the war. In this effort it is contained the meaning of this creation: the carefree sweetness of violet blended with the deep black of the nights spent in front of the large fireplace in an active waking mood, dreaming of the future with enthusiasm and strength, knowing that everything was to be reinvented and recreated. A dream journey in the grandmother’s old kitchen, they discover the immensity of the purest love scent. The intense bitterness of almond meets the timeless sweetness of fruity Madagascar vanilla and the wonderful earthly aroma of Tahitian vanilla. A timeless gourmand scent, ancient and modern at the same time. The right balance of sweet with bitter in an intense hug able to give to the moment the greedy emotion of a reassuring maternal caress. A dream journey in the grandmother’s old kitchen, while she is making tasty cakes for her grandchildren who, enchanted like in front of a storybook, they discover the immensity of the purest love scent. A journey of contrasts, emotions, tastes and smells different from each other. The intense bitterness of almond meets the timeless sweetness of fruity Madagascar vanilla and the wonderful earthly aroma of Tahitian vanilla. The greater the diversity, the greater the perfection! I realized from my travel notes that I have always been fascinated by trees, because their ingrained wisdom tells a lot of the place in which they are. So I wanted to make a tribute to wood, to its warmth, color and to the emotions this element is able to give me. This fragrance is an extract of the most precious woods in the world. It speaks of different countries and people and it contains all the secrets kept by trees. I’ve always been enchanted by the alive beauty of wood and its extraordinary, strong and persistent essences. They are the olfactory signature of all my creations. The passion for music and hand crafted lutherie have influenced my search path. As a boy I spent whole days in the old workshop of a famous Italian violin maker who created violins, cellos and beautiful guitars. In that little, dusty and dark place, skilled hands modeled pieces of “sleepers” wood in order to give the instrument a soul. An artistic work that took time and patience, made of long waits, so that the small piece of wood could take the right form that led him to immortality as happened to the famous Stradivarius. The scents of this magical place are alive in me and accompany all my gestures. An ode to Maremma, an undiscovered wilderness area of valleys and forests in Tuscany, and its Butteri (Maremma horseback riders). Filled with fruity notes indigenous of this intense mediterranean landscape, together with strong leather and wood tones makes this perfume incredibly long lasting. Paris on a rainy autumn day: rain beating on slate rooftops, stone streets lit by dim lights. A small fire at the crossroads of Montmartre heats musicians and acrobats. An unusual infusion of absinthe- like camphor, rich labdanum and cognac, mingled with a strong vein of precious woods and resins. The most bohemian stop on this unforgettable journey is the mythical Paris during a rainy autumn day, but warm with winding watercolours, blended as in painting by Renoir. The smell of the rain beating on the slate roof mixes with the stone streets lit by dim lights. A small fire at a crossroads of Montmartre heats musicians and acrobats that await tourists after the rain. The magical atmosphere is seeped with precious and rare scents that echo the mysterious art of a timeless place. One of the most complex and structured perfumes of the collection, where all the pleasing non-conformist notes are enclosed. A creation without compromise, just like the bohemians, heedless of the thoughts of others and with a strong personality. A creation that can be worn and mostly understood, only by those who really have a spirit free from all conditioning, from every stylistic conformity. Its uniqueness is perceived from the outset, with an unusual explosion of camphor that stuns like a glass of absinthe drunk in a moment, a strong counterpoint to the swell of laudanum and cognac, grafted onto the strength of precious woods, led to the absolute by unobtainable resins, reflected in turn in the smell of slate and laurel, all emphasised by the fire of the wet road. A solid black bottle like a stone building that captures the essence of artistic madness and not confined by any style prejudice. From the ancient tradition of original Capodimonte porcelain, our designer, Tiziana Terenzi, has reinterpreted the catalytic lamp. This is a unique collectors’ piece that has been entirely handmade in Italy. The sensorial experience of a real “Made in Italy” piece with a unique and inimitable style and presented in an elegant gift box.